For over a century people from around the world have come to rural Central Kentucky to honor the humble beginnings of our 16th president, Abraham Lincoln. His early life on Kentucky’s frontier shaped his character and prepared him to lead the nation through Civil War. 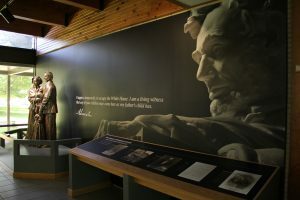 The country’s first memorial to Lincoln, built with donations from young and old, enshrines the symbolic birthplace cabin. Born in a single room log cabin on his father’s Sinking Spring Farm on Sunday, February 12, 1809, Abraham Lincoln’s early years on the Kentucky frontier helped to shape his character and prepare the boy who would grow up to become the sixteenth President of the United States to lead the nation through the tragic and turbulent times of the Civil War. His legacy of liberty and equality remains relevant today and has impacted people around the world. Abraham Lincoln, 16th president of the United States, was the first president born west of the Appalachian Mountains. 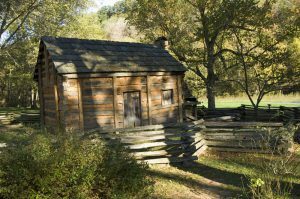 His birth in a log cabin at Sinking Springs Farm took place on February 12, 1809, when that part of Kentucky was still a rugged frontier. When Abraham was two and a half his father moved his young family ten miles away to a farm on Knob Creek. The story of Lincoln’s journey from log cabin to the White House that began here has long been a powerful symbol of the unlimited possibilities of American life. For almost a century, tourists and historians have come here to seek out the origins of the man and his virtues—honesty, unpretentiousness, tolerance, hard work, a capacity to forgive, and a clear-sighted vision of right and wrong. 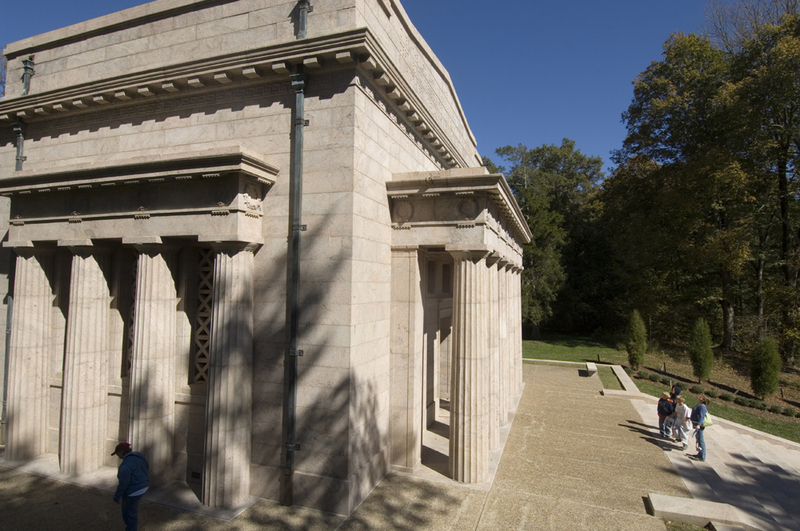 The Abraham Lincoln Birthplace National Historic Site consists of two units. The centerpiece of the Birthplace unit is a symbolic birth cabin enshrined within a Neoclassical Memorial Building. 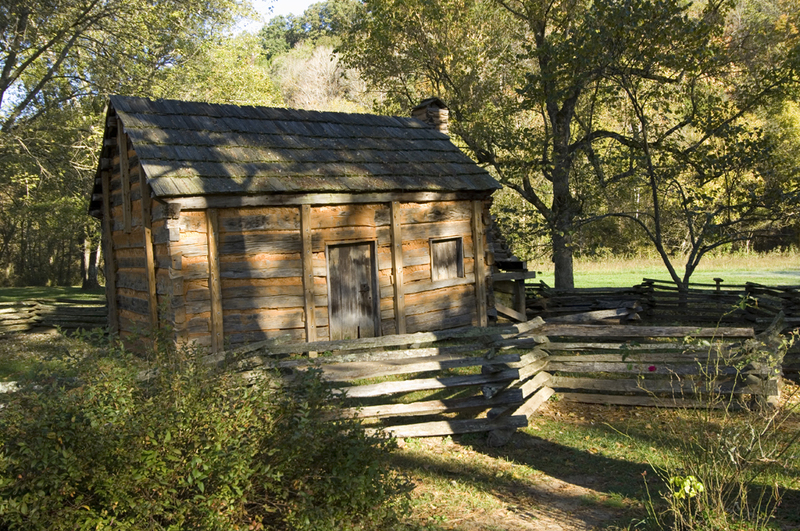 The Lincoln Boyhood Home unit is located at Knob Creek Farm, where the family lived from 1811 until 1816. Lincoln’s father, Thomas, moved to Kentucky, then part of Virginia, with his parents about 1782, only seven years after Daniel Boone pioneered this uncharted region. 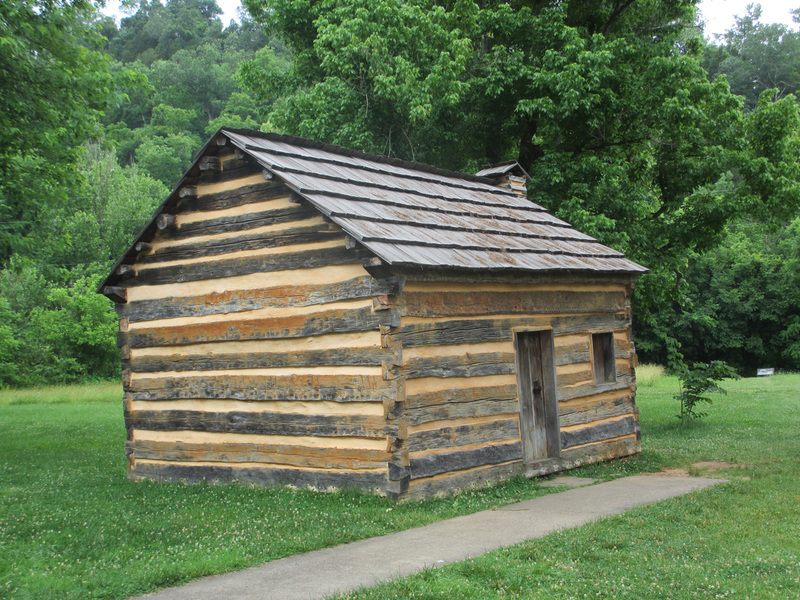 By the time of his marriage to Nancy Hanks in 1806, he was a farmer and carpenter. In 1808, he purchased 300 acres near the Sinking Spring, one of the area’s numerous springs whose water dropped into a pit and disappeared into the earth. The soil was stony red and yellow clay, but the spring provided an important source of water. Near the spring was a white oak tree, a landmark that lived for approximately 195 years, the “last living link” to Abraham Lincoln. Only two years after he purchased it, Thomas Lincoln lost his land in a title dispute, which was not settled until 1816. 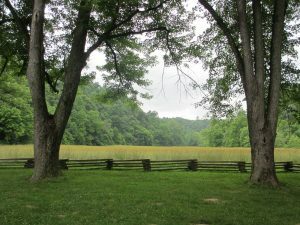 In 1811, the Lincolns leased 30 acres of a 230-acre farm in the Knob Creek Valley while waiting for the land dispute to be settled. The creek valley on this new farm contained some of the best farmland in Hardin County. A well-traveled road from Bardstown, Kentucky, to Nashville, Tennessee, ran through the property. Abraham Lincoln’s first memories are from his time here, working alongside his father, playing with his sister, and assisting his adored mother. In the early years of his life, he learned from the self-sufficiency of pioneer farming and from short periods of schooling. His attendance at subscription schools lasted only a few months. Lincoln may have begun to form his views on slavery here. The Lincoln family belonged to an antislavery church. 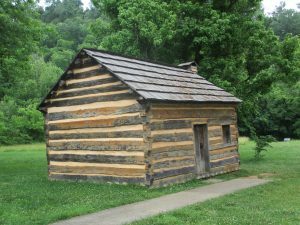 In 1816, when Abraham was seven years old, the family moved across the Ohio River to Indiana and settled at the present site of the Lincoln Boyhood National Memorial. The Sinking Springs land changed hands several times after the Lincolns left in 1811. In 1894, Alfred W. Dennett, a New York businessman, purchased 110 acres of the property and shortly thereafter began to create a park known as “Lincoln Spring Farm” and “Lincoln Birthplace.” In 1895, Dennett acquired a nearby, aging log cabin, which according to local tradition contained some of the original logs from the Lincoln cabin, and moved it to the site. Dennett dismantled and displayed the log cabin in a number of places. In 1905, he had to sell the property at auction. 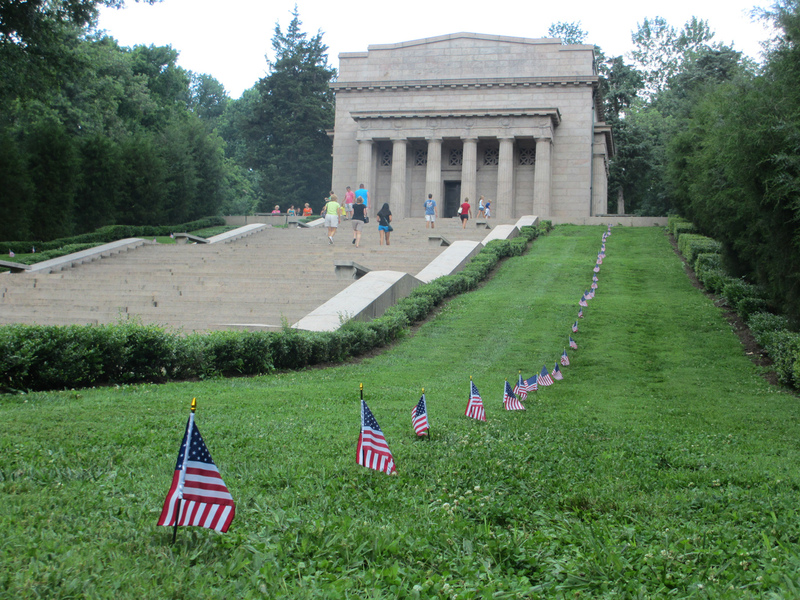 As the centennial of Lincoln’s birth approached, interest in memorializing the 16th president increased. Robert Collier, publisher of Colliers Weekly, bought the Sinking Springs Farm in 1905. The following year, he and his associates formed the Abraham Lincoln Farm Association to create a suitable memorial. They purchased the cabin and began work on the Memorial Building. Over 120,000 individuals from across the country, including thousands of schoolchildren, contributed a total of about $350,000 for the memorial. In 1909, President Theodore Roosevelt dedicated the cornerstone. President William Howard Taft dedicated the memorial for the nation two years later. 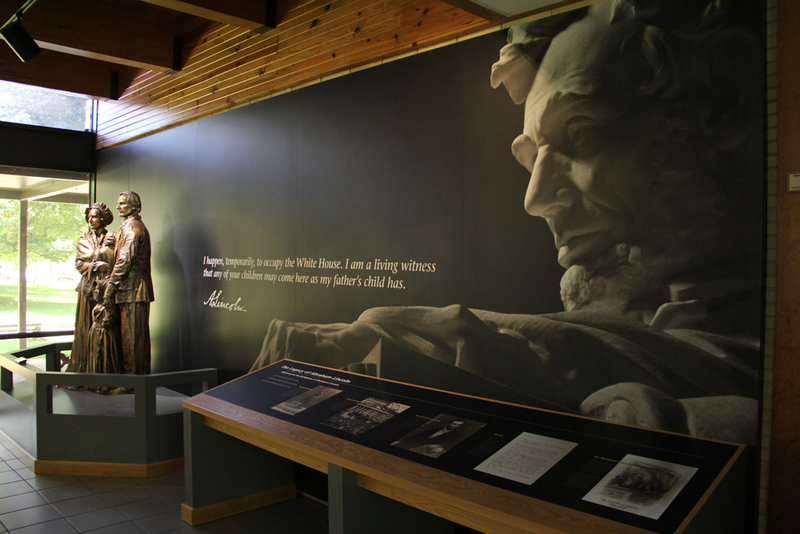 In his remarks, he said that it would be a reminder of “the unexplained and unexplainable growth and development, from the humblest and homeliest soil, of Lincolns’ genius, intellect, heart, and character.” The small, simple cabin represents the simplicity of Lincoln’s early years. While the gleaming granite and marble Memorial Building that houses the cabin, which the young John Russell Pope designed in the Neoclassical style, is an appropriate symbol of the honored position Lincoln holds in American memory. 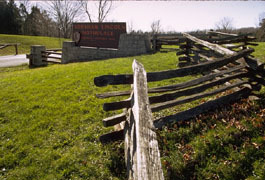 The Knob Creek Farm property became part of the Abraham Lincoln Birthplace National Historic Site in 2001. The Birthplace unit consists of the Memorial Building and 116 acres of Thomas Lincoln’s Sinking Spring Farm. Walking trails trace the paths of Lincoln’s earliest days, past the famous Sinking Spring, and the site of the boundary marker oak tree. 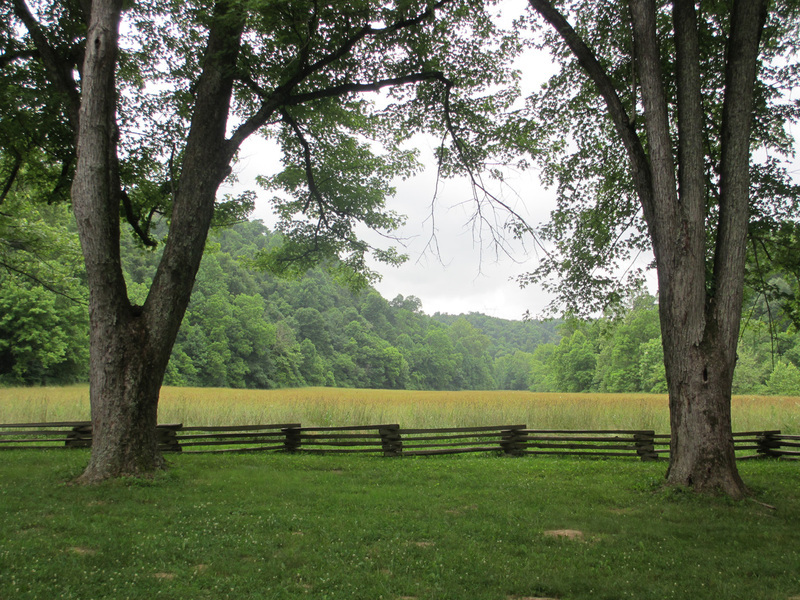 The trails at the Knob Creek Farm unit trace the creek where young Abraham and friends used to work and play.